While EVE Online is primarily based around the conflicts that arise between groups of players competing in the same virtual universe, the New Eden star cluster also contains dozens of NPC factions locked in their own conflicts. Players can take part in some of these conflicts by hunting pirate faction NPCs in exchange for bounties from CONCORD, or by running missions for an NPC corporation in high-security or low-security space, but the interaction doesn’t have to end there. 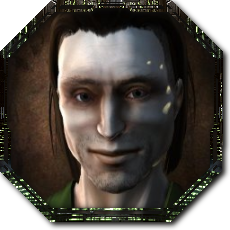 One of the most compelling facets of EVE‘s design for a lot of people is the potential of taking an active role in the NPC organisations that populate EVE‘s living sci-fi universe. You can actually do this to some degree right now, even going as far as to make friends with pirate factions and gaining benefits that can give you a tactical advantage over other players. But how far can you push this NPC interaction, and how far could it go in the future? In this edition of EVE Evolved, I look at the various ways you can work with the NPC factions of EVE, some amazing tricks players have discovered, and how this gameplay could evolve in the coming years. 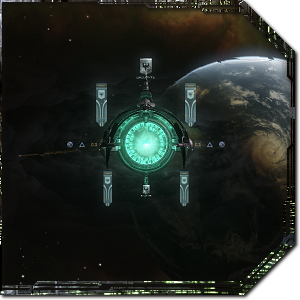 Though EVE is most famous for its engaging PvP, a huge number of players are content to stay in high-security space and either search out exploration content or run missions for various NPC corporations. Combat missions usually involve fighting NPC pirates in exchange for bounties, ISK mission rewards, and loyalty points that can be redeemed for items such as implants and faction ship blueprints. A secondary reward for completing missions is standings boosts with the corporation and its parent faction, which will unlock higher level agents and reduce your tax rates in that corporation’s stations. 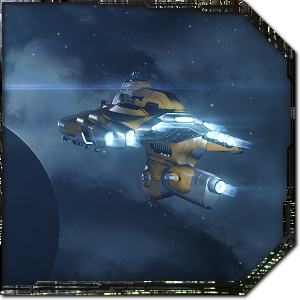 Most of EVE‘s lawless nullsec regions are claimed by player-made alliances, but there are several regions of NPC nullsec filled with stations owned by the NPC pirate factions. Many of these stations house agents that will give pirate missions to help the local pirate faction fight its enemies, and in exchange you can get standings to that pirate faction and access to a loyalty point store that sells the faction’s ships and equipment. It takes considerable dedication to grind up pirate standings in this way because you also have to avoid killing the NPCs of that faction, so you can’t grind the local NPCs for ISK. Pirate standings usually aren’t worth grinding as you can get better ISK from other PvE gameplay and pirate equipment can drop as loot from faction spawns, but recently players have found some amazing benefits to certain standings. The advanced AI ships that compose NPC Mining Operations and install Forward Operating Bases actually use standings to distinguish friend from foe, so high standings to a pirate faction will make its AI ships leave you alone. 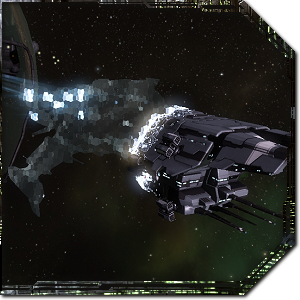 In his recent video “Baited on a free,” (below) player Suitonia demonstrated a trap that uses Sansha pirate NPCs to turn the tide of battle in his favour, leading a gang that was chasing him to their grisly deaths and nearly taking down a Revelation Dreadnought in a frigate. The trick he used was simple: Get the Sansha AI to warp to a trap location using a second character and then lead the enemy gang to that spot, knowing that the NPCs will ignore his ship but engage his attackers. High enough standings can even make the NPCs actively help you, including repairing your ship in combat. The NPC mining operations and forward operating bases feel like the first step in a much more complex scheme that could be rolled out across the game to make the game more alive. Every star system in empire space could become an active battleground between two or more rival factions, each populated by these AI ships running mining operations, building bases, and attacking each other. Each NPC corporation with a station in a star system could have one or more enemies in that system, including both pirate factions and rival corporations and empires trying to move in on their operations. Each system could have a certain conflict level depending on the military buildup of the corporations there, and that would determine the size of structures they build and the scale of battles between the two sides. Players could join in on these conflicts by gaining standings with one side or the other. Just being able to take part in AI battles and be friendly to one side would be pretty compelling on its own, but it could be even more engaging with just a few additional features. We could get new ways to gain standings with local corporations by living in a particular star system or constellation, unlock new services in stations, and gain access to new PvE gameplay and in-space benefits. This could be rolled out across highsec and lowsec, and I think it would be an expansion-worthy new feature. PvE Skirmishes: New types of PvE skirmish between the two factions could replace boring grindable cosmic anomalies. Players could get notifications about skirmishes starting in their constellation or find them though the Agency window, and these could come in a variety of different scales from solo frigate battles to large group skirmishes. NPCs would start to help the player with remote repairers etc if his standings get high enough. NPC FOB Battles: Pirate forward operating bases were originally envisioned as group targets, but players quickly figured out how to solo them with cheesy fits and strategies. Players working with a corporation could be notified of times that their group is going to attack the FOB, giving access to support and allowing more players to effectively solo them while also giving the player a fleet experience. Rescue Boosters: NPC corps could reward you for your assistance with rescue boosters that, when consumed, would spawn an NPC fleet at your location. These would help create more unexpected scenarios like Suitonia’s trap video and could be used to help defend an Upwell structure, and could be limited to a single star system or constellation. Pirate corps could even have their own version that you could use to set up a high-damage ambush. In-System Bonuses: Players should be rewarded for investing the time in building up a relationship with either the attacking or defending NPCs in a star system. The ability to earn small bonuses that apply to either a player’s ship or a corporation’s structures would go a long way toward making players feel like they’ve created a home for themselves in one particular star system or constellation. The standings system is one of EVE‘s oldest and clunkiest gameplay systems, and yet there’s a surprising depth to it and some incredible potential for new gameplay and features. Suitonia has shown how pirate faction standings can already be used for a tactical advantage, and has even put out a fantastic video explaining how to grind those standings up quickly with the use of the epic mission arcs, derived standings, skills, and standings boosters. 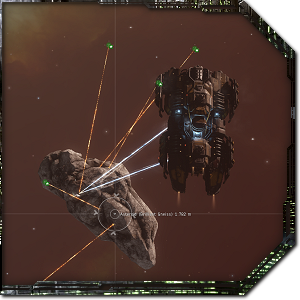 In the interplay between standings and EVE‘s advanced AI fleets lies a seed of something wonderful that I really think could revolutionise EVE for those players who live in empire space and have no interest in joining a monolithic nullsec alliance. I can imagine a future EVE Online in which the conflicts between the NPC corporations of New Eden aren’t delivered just in news stories and fiction but instead play out every day in-game and sweep players along for the ride. Now that would be a hell of an expansion.